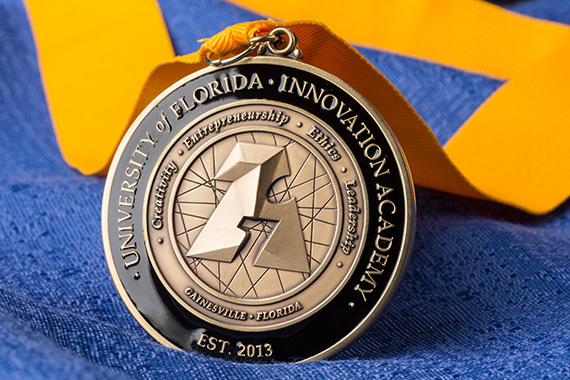 The University of Florida's Innovation Academy is a spring/summer cohort of students who are on a unique path. They will be some of the first students in the nation to graduate with minors in one of the world's most desired skillsets: Innovation. 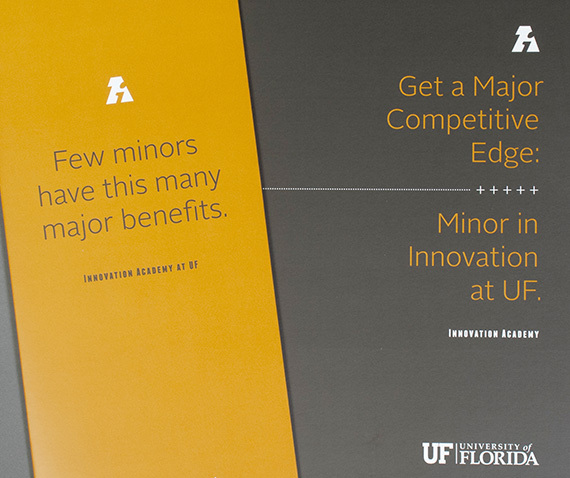 This identity design's fundamental purpose was to set IA apart from the vast majority of enrollemtn options open to high school students from other universities. From oversized formats, metallic inks and HDR portrait photos of students, the Innovation Academys materials present an instant aura of uniqueness, energy and opportuntiy.